Watercolor portraits of home by John Ginovsky | Why a Home Portrait? Why do you need a portrait of your home? Your home, be it a mansion on a hill or an apartment downtown, imparts to you a sense of physical belonging. In an otherwise unstable world, it signifies stability specifically designed around you. You may open the door and let friends in, or you may close the door and preserve your privacy. It's the one sure place in the world where you have control. How comforting would it be, then, to have in your possession a warmly rendered portrait of your home? 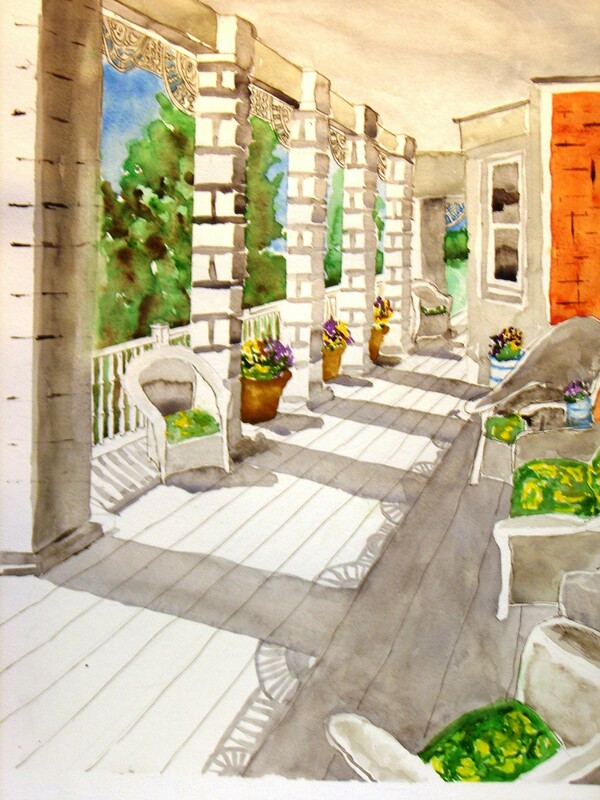 A home portrait - particularly one hand-painted in water color - can capture the feeling you have about your home. It can be proudly shown to others. More important, as you cope with life's urgent, confused and confounding affairs, you can, at least once in a while, pause and reflect on your home and all it means to you.